I will take what is rightfully mine. Realm: A realm made up of a wealthy oligarchy, whose resource is precious metals and jewels. Profile: Daughter of the king. Princess and second in line to the throne of Cergaron. Personality: Ruthless. Ambitious. Assertive. Treacherous. 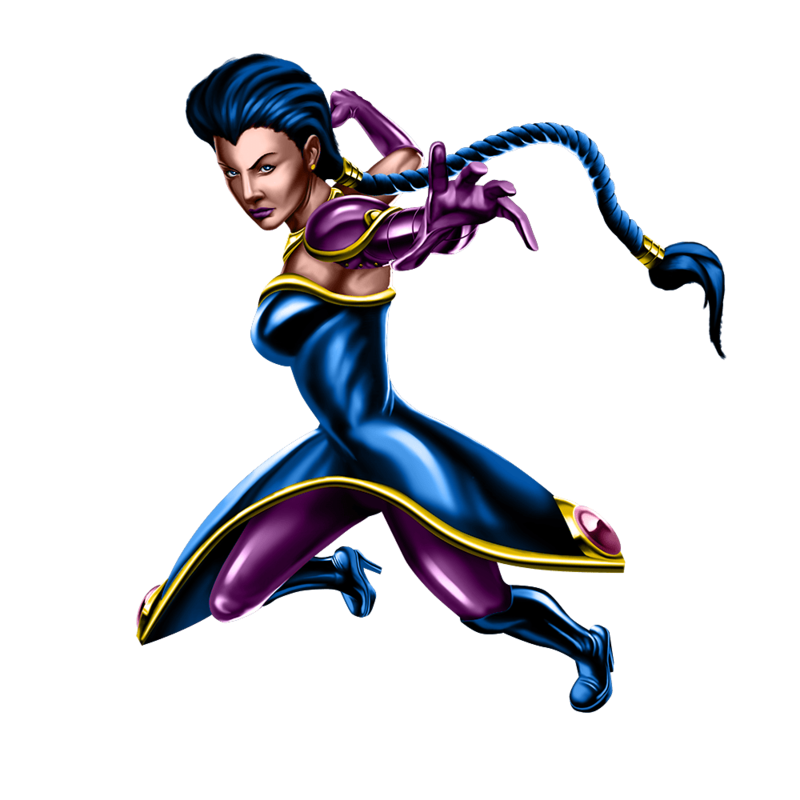 Abilities: Sarah has the ability to wield lightning and all forms of electricity. She can both generate and control it. Sarah was born in the realm of Cergaron. She is the daughter of the King and her mother a palace servant. The queen could not bear children and in a moment of weakness, the King slept with one of his servants. Though she was the daughter of a servant because she was the Kings daughter she was heir to the throne. That was until the queen gave birth to Samantha. Because Samantha was the daughter of both King and Queen she became the true heir to the throne and Sarah was relegated to second place. Sarah has always resented Samantha and began a plot to regain what she believed to be rightfully hers. She plotted a palace coup and sought help from The Keepers. With the help of bio-enhancements, she overthrew the King and neutralized all loyalists. She also got rid of Samantha whom she thought she had killed. Sarah's ambition is to rule Cergaron but what really drives her is a desire to prove that she is better than Samantha in every way. She will be truly satisfied when she has beaten Samantha and gets her to admit that Sarah is her superior.